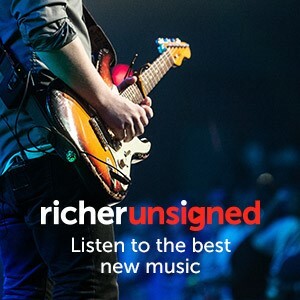 A monthly playlist from our friends at Richer Unsigned, this month curated by folk duo Bear's Den. “Let’s make a party record for the world going nuts!” Gorillaz return in the new Q! Gorillaz return as Q speaks exclusively to the band's founders Damon Albarn and Jamie Hewlett. Win A Pair Of Tickets To See Kasabian At Reading And Leeds In The New Q! Submit your answer for the competition in the latest issue of Q. Plus see the awards – and The Charlatans – live! Get tickets for the 2016 ceremony on 2 November now! Guest Column – Right Said Fred, let's... play bass for David Bowie, support Joy Division & more! After a weekend on Worthy Farm Q reveals what actually happened this year... sort of!